Human Rights Activists News Agency (HRANA) – In an act of protest, Reza Sigarchi, a Great Tehran Penitentiary prisoner of conscience and member of the * Gonabadi Dervish religious minority, announced Saturday, October 20th that he will be abstaining from both food and medicine. Sigarchi’s strike is a demonstration of support for his fellow downtrodden Dervishes, according to Majzooban Noor, a website covering Dervish community news. He will reportedly not eat or ingest medicine until the following demands are met: lift the house arrest order on Dervish leader Noor Ali Tabandeh; release female Dervish prisoners; reunite separated Dervish prisoners into the same Ward; return Abbas Dehghan to Great Tehran Penitentiary. Sigarchi, who suffers from heart disease, was hospitalized last week in Imam Khomeini Hospital where he underwent an angiography. Five other Dervish prisoners in Great Tehran Penitentiary — Salehodin Moradi, Mojtaba Biranvand, Mohammad Reza Darvishi, Saeed Soltanpour, and Ali Mohammad Shahi — have been on hunger strike since a violent raid on their sit-in by prison guards on August 29th. Hunger-striking Dervish Abbas Dehghan still hasn’t eaten since September 2nd. Dehghan reportedly spent one hour in Great Tehran Penitentiary post-trial before being transferred to Ward 2A of Evin Prison, under IRGC jurisdiction, where he has remained since. All of the aforementioned prisoners were arrested amid the “Golestan Haftom” incident in February 2018, where Iranian police and plainclothes members of the IRGC’s Basij faction confronted hundreds of Gonabadi Dervishes who had rallied outside the home of their spiritual leader Noor Ali Tabandeh. The Dervish demonstrators sought to prevent the possible detainment of Tabandeh, who has reportedly been placed under extended house arrest by Iranian authorities. Hundreds of Dervishes were beaten, wounded, and arrested during the Golestan Haftom incident. A similar attack occurred on January 24th after an intervention from security forces on the same street, heightening the sense of fear within the Dervish community. Though Iranian judicial authorities estimate that around 300 people have been arrested in connection with Golestan Haftom, HRANA has thus far published the names of 324 arrestees and estimates that the actual number is considerably higher. * There are various divisions among Dervishes in Iran. In this report, the term “Dervish” refers to Nematollahi Gonabadis, who declare themselves as followers of Twelver Shi’ism, Iran’s official state religion. 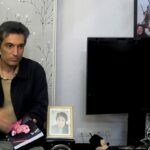 Human Rights Activists News Agency (HRANA)- Imprisoned civil rights activist Reza Khandan has published a letter calling attention to fellow activist Farhad Meysami’s mistreatment by prison authorities, who are reportedly unmoved by the steep decline of Meysami’s health since he declared hunger strike on August 1st. Since forcibly taking Meysami to the prison clinic on September 26th, prison authorities have kept him in quarantine-like conditions, restricting all of his contacts with the outside. In protest of his arrest, as well as authorities’ refusal to appoint the lawyer of his choice, Meysami has already been on hunger strike for more than 75 days. Medical doctors, publishers, bookshop owners, and university graduates numbering 1400 in all have published an open letter raising their own concerns over Meysami’s condition and pleading for his immediate release. 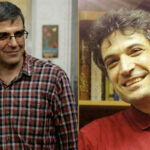 The voices of two teachers incarcerated at Evin also got behind what has become a burgeoning public campaign for, at the very least, Meysami’s transfer to an outside medical facility. It has been 75 days since Dr. Farhad Mesyami started his difficult and worrisome hunger strike. Three weeks ago, he was forcibly transferred to the prison clinic from the general ward. Reportedly on orders from the prosecutor’s office, and with the cooperation of the clinic’s director, prison officials have repurposed the clinic into a security detention unit where patient spaces can be used as solitary confinement cells. Currently, Farhad Meysami is being held in one of those rooms under tight security controls. In his frail state he has reportedly been subjected to inhumane treatment whereby, against his will and without the presence of family or a lawyer, he was strapped to a bed and given injections. In these instances, we must hold accountable not only judiciary authorities but also the Ministry of Health and the President himself, who has sworn to protect the rights of the people. Moreover, we must advocate that medical professionals be held accountable, those who have in an unprofessional and unprincipled manner taken action against the will of the patient, heeding any and all orders [from authorities], however unethical they may be. Farhad Meysami’s health and life is at risk now more than ever, and it is urgent he is transferred to a hospital outside the prison for medical care. 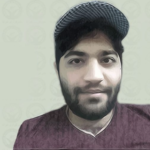 Reza Khandan Khandan was arrested in his home by security forces on September 4, 2018, before being charged in Branch 7 of the Evin Prosecutor’s Interrogation office. He was summoned to Branch 15 of the Revolutionary Court on October 5th but refused to attend as an act of protest against the unlawfully late subpoena. Human Rights Activists News Agency (HRANA)- Fifty-six youth and political prisoners declared the launch of a hunger strike on October 17th in defense of their ward mates, many of whom were recently victims of vicious assaults by authorities. The strikers hail from Ward 12, designated for political prisoners, and the youth ward. On October 15th, more than 50 special agents attacked Ward 12, breaking prisoners’ bones and teeth. Later the same day, Urmia guards enlisted common-criminal prisoners to wage an assault on 8 prisoners of conscience from the youth ward. HRANA is in the process of confirming the names of the striking prisoners. Human Rights Activists News Agency (HRANA) – Hundreds of medical doctors, publishers, bookshop owners, and university graduates wrote an open letter September 28th to raise their concerns about Farhad Meysami, a civil rights activist detained in Evin Prison who is in dire medical condition on this 57th day of his hunger strike. The letter pleads for Meysami’s release. Meysami started his hunger strike one day after his July 31st arrest, in protest to authorities’ refusal to appoint the attorney of his choice. He was taken to the prison clinic by violent force on September 26th, raising suspicions with close sources that authorities are deliberately isolating him from contacts with the outside. Previously, Mahmoud Beheshti Langroudi and Esmaeil Abdi, two teachers imprisoned in Evin, asked for Meysami’s transfer to a hospital in their own open letter to judicial authorities. The most recent open letter, representing the will of 1,400 doctors, publishers, bookshop owners, and university graduates, reflects the same concern for Meysami’s well-being. “We know Dr. Farhmad Meysami’s character, disposition, and reputation of accountability, and we believe that he doesn’t belong in prison,” the letter says. 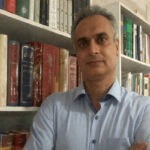 Meysami is noted in the letter as founder and manager of Andisheh Sazan, a publishing house in Iran. The letter specifically implores the support of Culture Minister Abbas Salehi, Health Minister Hassan Ghazizade Hashemi, Parliamentary Health Committee Head Hosseinali Shahriari and Parliamentary Culture Committee Head Ahmad Mazani. Human Rights Activists News Agency (HRANA) – On Tuesday, September 25, 2018, political prisoner Mahin-Taj Ahmadpour agreed to end her 16-day hunger strike in exchange for verbal commitments from prison authorities to meet her demands for medical treatment. 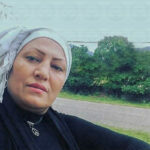 Ahmadpour had lost 8 pounds by the 10th day of her strike when HRANA reported on prison authorities’ failure to address her deteriorating physical health. Sentenced to 10 months in prison for her participation in the January protests, Ahmadpour began starving herself September 10th to protest her restricted access to resources, such as medical care and the telephone, and to revolt against prison authorities who reportedly threatened to open new charges against her as a form of coercion or harassment. Per her treatment plan for anemia, Ahmadpour should receive seven units of blood every month. An informed source told HRANA that monthly blood infusions were also recommended for her as a preventative measure against leukemia. In the face of her diagnosis and supporting medical documentation, however, prison authorities had until now denied Ahmadpour’s requests for outside medication and refused to clear her for a medical transfer. Mahin-Taj Ahmadpour is a 46-year-old resident of Tonekabon. A peddler by trade, she was arrested along with 14 other residents during widespread rallies that took place in January 2018 across Iran, known as the January Protests. The Revolutionary Court of Tonekabon sentenced eight of these arrestees to 28 months’ imprisonment, divided among the defendants. Branch 101 of Criminal Court No. 2 of Tonekabon, presided over by Judge Ebrahimi, also sentenced six of the arrestees to 24 collective months of prison time. Ahmadpour was first sentenced May 2, 2018, in Branch 101 of Tonekabon Criminal Court No. 2 to serve a six-month prison sentence on a charge of “disrupting the public peace through participation in an illegal gathering.” On August 11, 2018, Tonekabon’s Revolutionary Court compounded the sentence with four months’ imprisonment for “propaganda against the regime.” As evidence against her, the court cited a combination of law enforcement reports and images and video taken during the January protests in Tonekabon. Human Rights Activists News Agency (HRANA) – In the past month alone, eighteen hunger striking Gonabadi Dervish prisoners in Iran have been beaten with batons, tased, and electrically shocked – and now, the prison’s warden has outwardly stated that it is not his concern if they die. The prisoners were first beaten by prison guards at Great Tehran Penitentiary on August 29th, after they held a sit-in to protest the beating of female members of their religious minority in Gharchak Prison in Tehran’s east. After guards violently broke up the sit-in, 18 Dervishes were transferred to solitary confinement, and all 18 went on hunger strike in protest. To date, they have not had a single meal, or any food at all, in more than 30 days. According to Majzooban Noor, a news website that focuses on Dervish issues, the hunger strikers are suffering from vertigo and reduced blood pressure. Specifically, the physical condition of Mojtaba Biranvand has been described as critical. He had previously been sent to a clinic due to severe physical weakness. 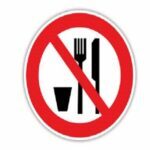 Refusing to break his hunger strike, he has rejected supplemental injections. Abbas Dehghan, another hunger striker held in the same penitentiary, has only one kidney and is greatly suffering from the toll the strike has taken on him. 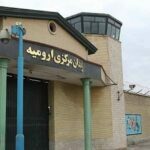 The August 29th attack targeted Dervishes in ward 3 of the prison. Eighteen Dervishes from Section 4 who protested the treatment of their fellow prisoners were also sent to solitary. Previously, on September 1st, HRANA reported that three Dervishes had gone on hunger strike: Ali Bolboli, Salehodin Moradi and Mohammad Reza Darvishi. On September 2nd, Majzooban Noor added six more hunger strikers to the list: Abbas Dehghan, Ali Mohammad Shahi, Mojtaba Biranvand, Ali Karimi, Jafar Ahmadi, and Ebrahim Allahbakhshi, On Monday, three more people joined them: Heydar Teymoori, Majid Yarahmadi, and Saeed Soltanoor. On Tuesday, five more dervishes joined the hunger strike: Babak Taghian, Ehsan Malekmohammadi, Sekhavat Salimi, Reza Bavi and Akbar Dadashi. The last Dervish to join was Majid Rashidi. The Dervishes demand the end to the house arrest of their spiritual leader, Noor Ali Tabandeh. Their other demands include releasing female dervish prisoners from Gharchak Prison and reuniting all imprisoned dervishes in one single section of the GTP. All of the Dervishes were arrested in relation to what has become known as the Golestan Haftom incident, named after the street on which it occurred. The incident occurred when a gathering of several hundred Gonabadi Dervishes was violently confronted by Iranian police and plainclothes members of the Revolutionary Guard’s Basij faction outside the residence of their spiritual leader, Noor Ali Tabandeh. The Dervishes had gathered to prevent his possible arrest.